In the recent years research has revealed that the traditional approach to treating musculoskeletal pain may not be the best, in fact it can often prolong recovery and install fear of activities and disability in the patient. We rely on conveying the most up to date medical literature science has to offer to our patients. Our patients appreciate the explanation of their condition and the steps they can take to manage and take a pro-active stance with their care. Active Release Techniques® is a patented, state-of-the-art soft tissue system that treats problems with muscles, tendons, ligaments, fascia and nerves. Headaches, back pain, carpal tunnel syndrome, shin splints, shoulder pain, sciatica, plantar fascitis, knee problems, and tennis elbow are just a few of the many conditions that can be resolved quickly and often permanently with ART. Many cumulative trauma injuries occurring on the athletic field or in the workplace can be resolved using the 500 protocols unique to ART. A typical visit is part diagnosis (identifying where the adhesion or soft-tissue lesion is) and treatment (freeing the adhesion or nerve entrapment). This type of therapy has become the “gold standard” for treating injuries in the athletic community and for workplace injuries. Many chiropractors, osteopaths and physical therapists utilize manipulation and mobilization techniques to improve joint movement, reduce pain and restore muscle tone. Mobilization employs gentle pressure or a shallow thrust to restore optimal motion. Manipulation is sometimes accompanied by a pop or cracking noise, which results from the joint’s release of gases. Following treatment it is common to experience less pain and muscle tension and a greater range of motion. At Indy Spine and Rehab we utilize time-limited mobilization and manipulation procedures only when necessary and in conjunction with the patient’s approval. McKenzie Method® therapy is a musculoskeletal pain classification system of spinal related disorders. It is based on a “cause and effect” relationship between historical pain experience as well as the pain response to repeated loading maneuvers of the spine during the examination. Disc bulges/herniations with radicular leg pain, degenerative disc disease, spinal stenosis are just a few of the conditions that are able to be successfully classified and treated with McKenzie therapy. While exercises are often needed to serve as an entry point to rehabilitation, we always focus on the desires and goals of the patient and strive to reach these goals in the shortest time possible. Neurological evaluation leading to the development of a methodology of evaluating child development, its dynamics and major disorders. Ryan Van Matre, D.C., M.S. has studied reflex-locomotion under Maria Drewniak, M.D. with certification through the Munich Child Center under Theodore Hellbruegge, M.D.. He has additionally studied under Pavel Kolar, P.T., Ph.D., associate professor and Director of Rehabilitation of Motol Hospital, Charles University, Prague, Czech Republic. Though early case-trials of Vojta Therapy prove extremely encouraging for children with developmental delays, therapeutic outcomes research is ongoing. 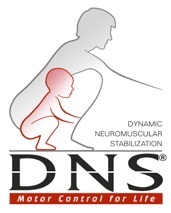 Dynamic Neuromuscular Stabilization (DNS) is a new rehabilitation approach involving clinical protocols that are designed to restore and stabilize locomotor function. This approach is based on principles organized by Pavel Kolar. These principles of neurodevelopmental and rehabiliation were described by Professors’ Vaclav Vojta, Karel Lewit, Vladimir Janda, and Frantisek Vele of The Prague School of Rehabilitation. Dry needling targets anatomical structures that are the underlying cause of musculoskeletal conditions. The benefits are decreased pain, decreased muscle tension, and improved function. During a typical dry needling treatment, thin filament needles are inserted into various targets that have been determined to be the underlying cause of the painful condition. Different strategies are used for acute injuries and chronic pain conditions that make this a highly effective treatment modality for soft tissue injuries. The insertion of needles into the tissues cause the release of substances that help improve blood flow to areas of tightness, and decreased sensitivity by neuromodulating the nervous system. These effects help control pain, improve function, and speed up healing.